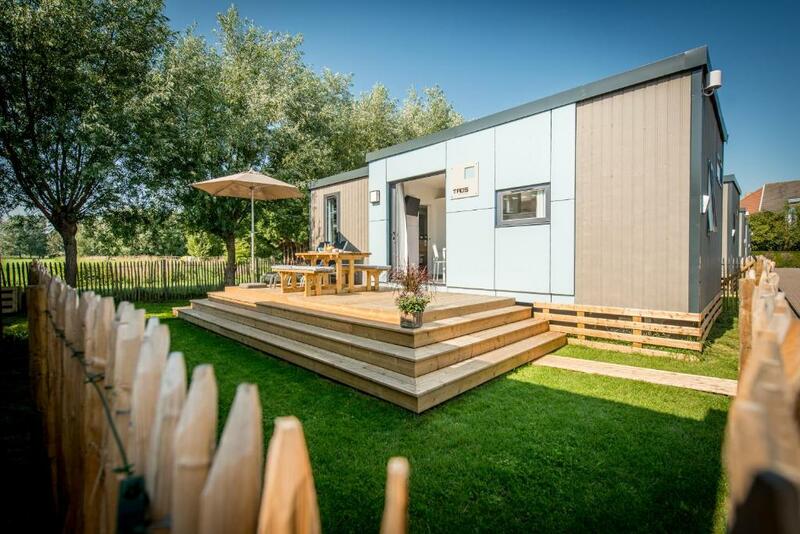 Lock in a great price for Holiday Village Knokke – rated 8.8 by recent guests! Its very nice place to stay! photos correspond to reality and even exceed it. Very nice house, ideal for a couple to spend weekend. Nicely furnished for a group of people. Suitable for budget family vacation. Clean and efficient. Friendly staff, clean small holiday house with efficient use of space and all you need. Very fine breakfast for the price paid. rather close to center and beach of Knokke-Heist. Bungalow has everything your family needs and the staff are very friendly and helpful! Will definitely stay here again. The service, the staff and the cabin. It is compact but even for a family of 7 very spacious. The beds were clean and comfortable. Lots of storage. Everything needed to cook and with better weather the outside facilities would have been very enjoyable. We will most definitely come back but with better weather to fully enjoy this lively place. Really enjoyed our stay. For the price this is an absolute winner. The staff were extremely friendly and always willing to assist. Had such a great time and would definitely recommend this for anyone looking for accommodation in Knokke. 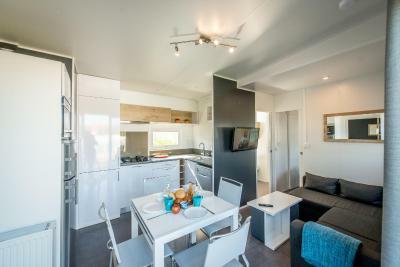 One of our top picks in Knokke-Heist.Set 1.2 mi from the beach and overlooking the polders, Holiday Village Knokke is located in Knokke-Heist and offers modern bungalows with a terrace. 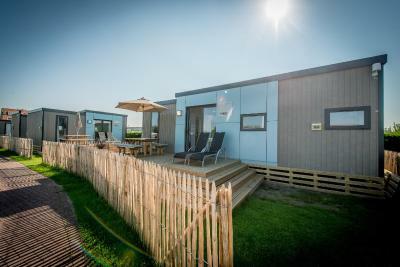 Free WiFi access and free parking are available in this holiday park. Providing a living area, the bungalows also have a dining table. Guests can prepare their meals in the fully-equipped kitchen which includes a dishwasher and a microwave. The private bathroom comes with a shower. Rooms offer a garden view. At Holiday Village Knokke younger guests can have fun on the playground. Other facilities offered at the property include a ticket service, a tour desk and luggage storage. If you feel like exploring the area, the holiday park offers a bike rental service. Knokke Train Station is 1,650 feet away. 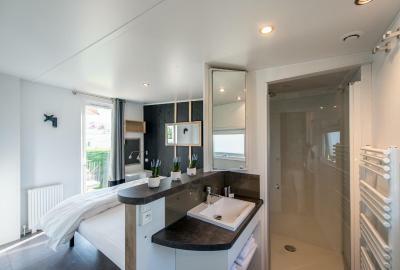 When would you like to stay at Holiday Village Knokke? House Rules Holiday Village Knokke takes special requests – add in the next step! ATM card Holiday Village Knokke accepts these cards and reserves the right to temporarily hold an amount prior to arrival. Holiday Village Knokke accepts these cards and reserves the right to temporarily hold an amount prior to arrival. Great value, clean and comfortable. It was clean over all but some things were not up to standards. Example: lime scale in the water kettle and on the children's shower head. Dust behind the furniture. The dishes are as clean as the previous guests leave them. We washed everything by hand and put it in the dishwasher after to rinse it. The guests before us didn't so it was very dirty but it didn't disturb us too much as we were given all the tools we needed to keep it clean and neat. We had a nice and warm shower on Saturday morning but after a stormy day we didn't have any hot water for the rest of the night and Sunday morning. The heater was not operating either on that night. It’s very small and there are lot of senior citizens, but the location was good, very close to the centrum of Knokke. Great for families with small children. We loved the breakfast! So much fun for kids to receive a box full of nice things to eat and drink. 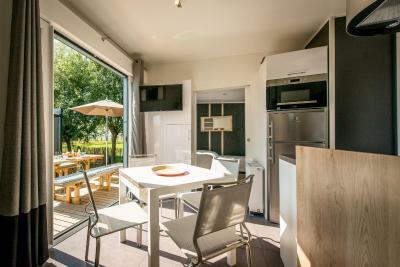 The small house is so well designed, fully equipped kitchen and nice to be able to enjoy your meal on the terrasse. Bed extremely comfortable. Reception staff very nice. Houses are quite small, shared bathroom adjacent for two out of three bedrooms in a bungalow is not the best option for non-family members. 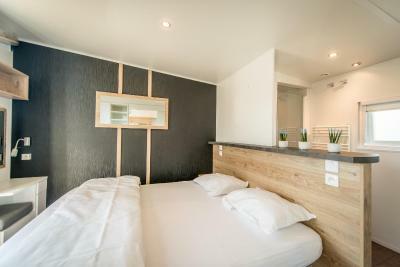 I stayed at Holiday Village Knokke with a group of friends and we had amazing time! The bungalows are rather small but very new and extremely well equipped, the staff was super helpful in answering to all the questions and the requests and the location was walking distance (20-25 min) from the beach. Absolutely recommended!